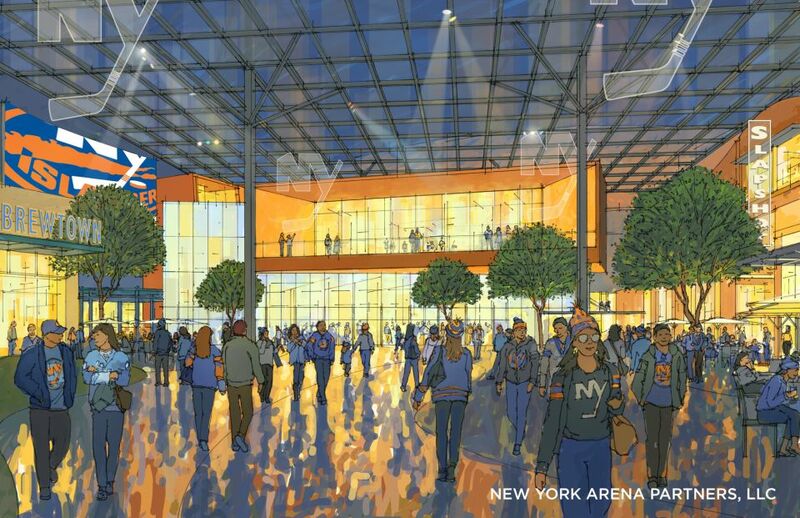 With the announcement of a new $1 billion arena “village” in Nassau County, Long Island, the New York Islanders will be leaving Barclays Center in Brooklyn and returning to their namesake island. 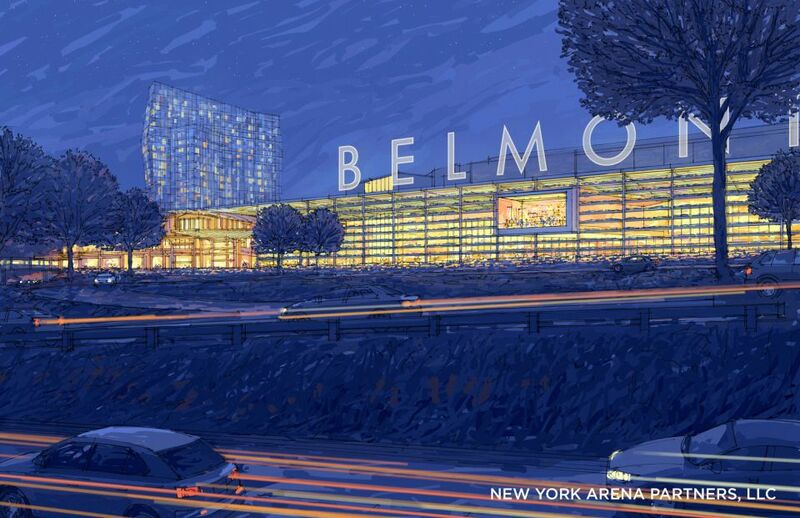 Not only will the Belmont Park arena hold 18,000 seats, but it will be accompanied by an adjacent 435,000-square-foot, mixed-use development. 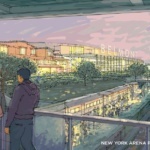 The Islanders had been looking to return to suburban Long Island since they first moved to Brooklyn. 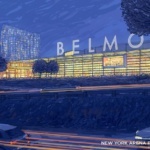 Plagued by complaints about poor seating arrangements and the technical limitations of converting Barclays Center from a basketball venue into a hockey arena, the team has now officially settled on the New York State–owned parking lot next to the Belmont Park Racetrack, home of the famous Belmont Stakes. 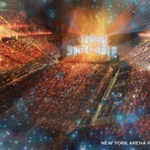 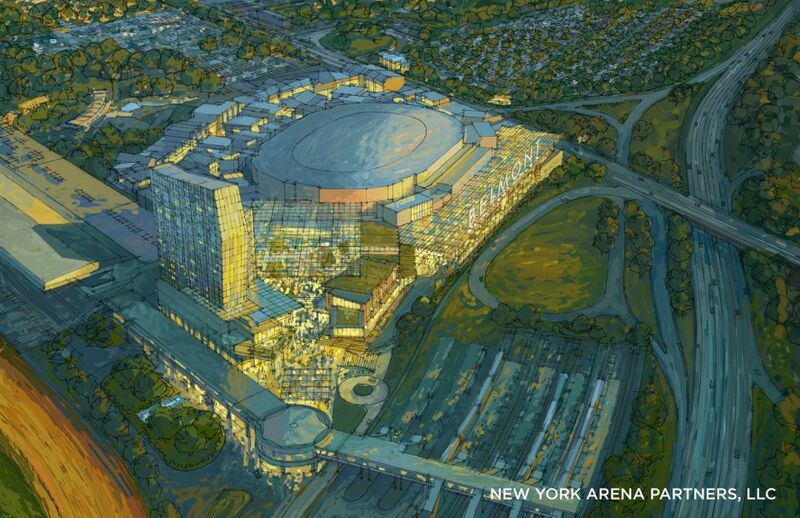 After their proposal to Empire State Development was accepted yesterday, team owners and New York Governor Andrew Cuomo announced the details of the new venue in a joint press conference. 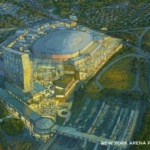 While no information was given on the cost of the arena itself, the team’s majority owner, Jon Ledecky, has said that it will be built using private funds. 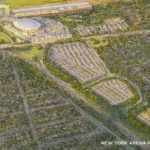 Sterling Project Development has signed on as a development partner, with the New York branch of Populous listed as the architect for the project. 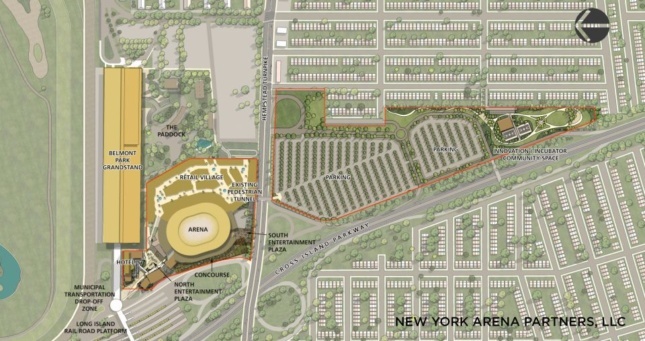 This isn’t the first time the two have worked together, as the duo previously teamed up to build Citi Field in Queens, and Minneapolis’s Target Field. 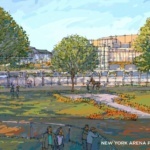 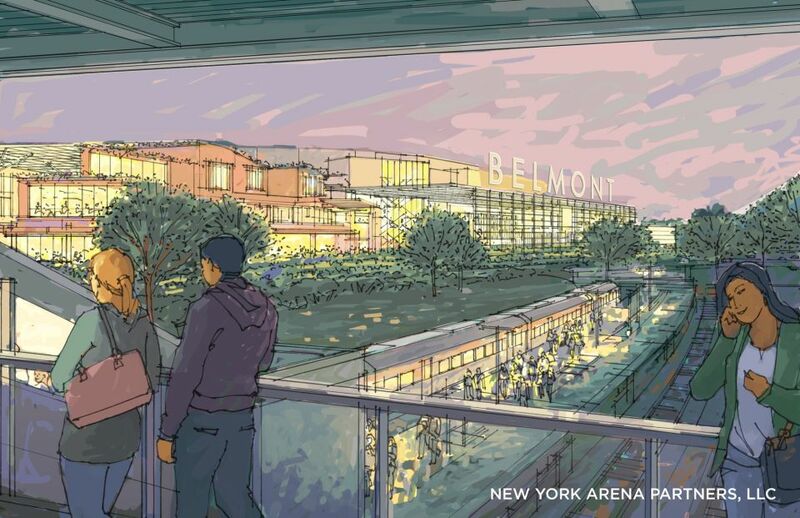 Renderings and plans released for the project show that the development will connect directly with the Long Island Railroad’s Belmont Park station, which will become a full-time stop after the arena’s completion; previously the station was only active during the horseracing season. 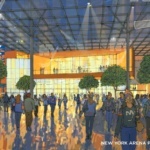 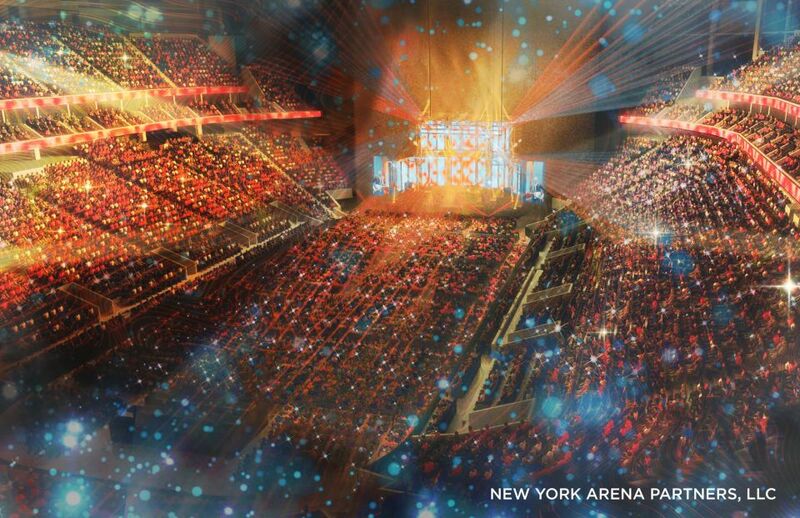 Because that season runs from May to October, there wouldn’t be much overlap with the hockey season, although one of the included renderings proposes converting the arena into a concert hall during the off-season. 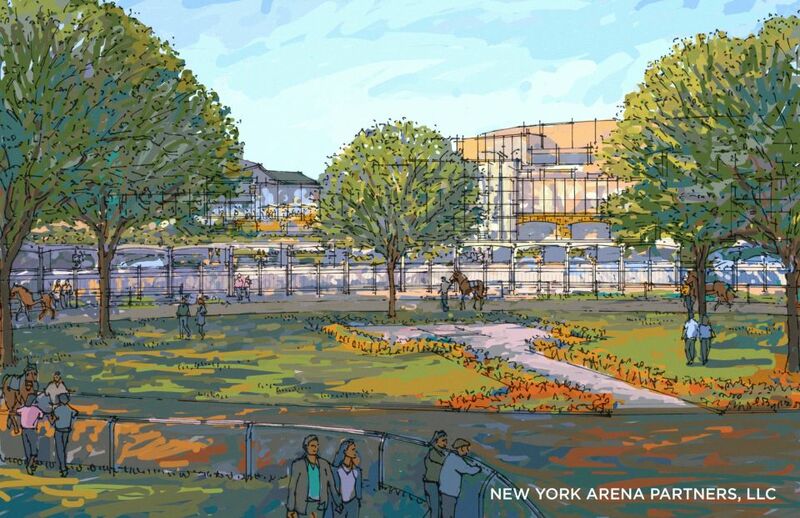 Other than the luxury hotel, retail and dining options proposed for the “village” section of the project, a large grandstand area has been laid out to the north of the arena that looks down on the neighboring horse paddock and racetrack. More intriguing is how the plans have set aside an “innervation/incubator community space” to the far south. 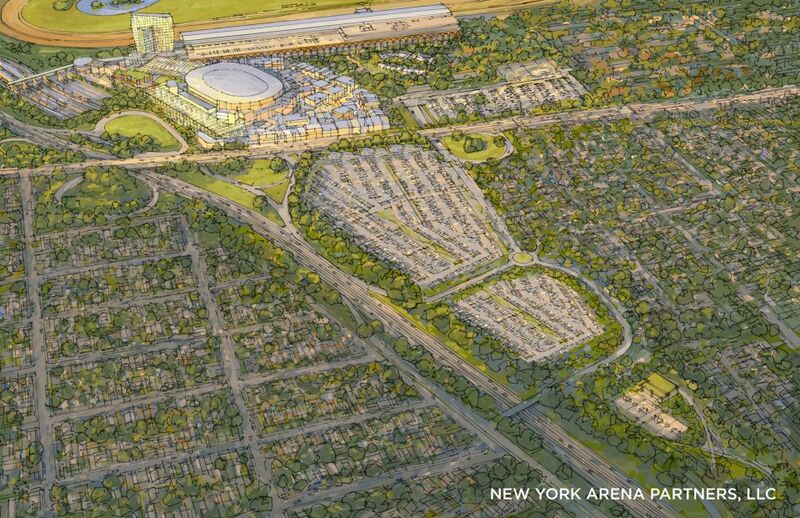 It remains to be announced how that area will be used, or whether Populous will also be designing the non-arena portions of the site, as well. 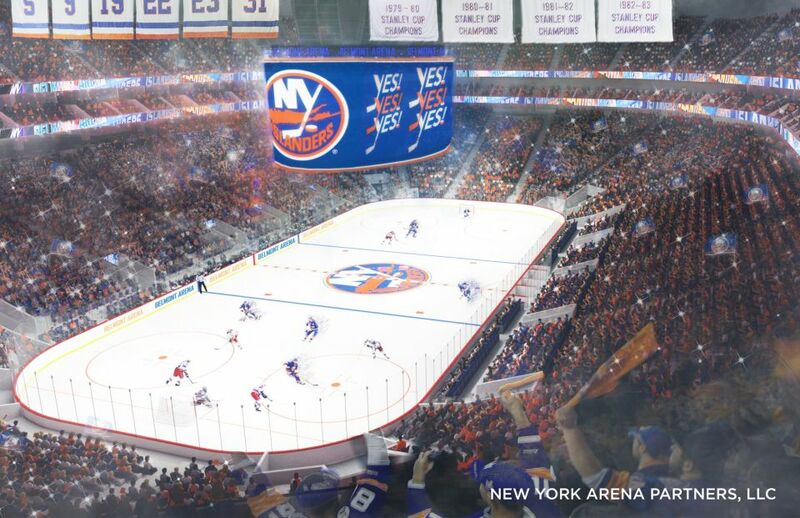 Although the Islanders have given a 2020 completion date for the project, the team might glide back to Long Island before then. 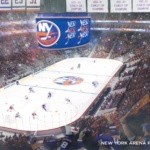 Governor Cuomo has urged the National Hockey League to allow the Islanders to play at Nassau Coliseum in the interim after this season, although Barclays Center officials are hoping that the team will renew its lease with them instead.